Mr KNOW has walked into the bathroom. But he can’t see his face because of the spotty mirror. He even finds mold between the tiles. Though we use bathrooms dozens of times a day. A place we don't deep clean is the bathroom. 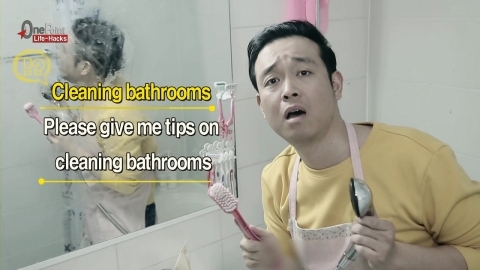 Today’s ‘One Point Life-Hacks’, Simple bathroom cleaning tips! Use hair conditioner for bathroom mirrors. Use vinegar for water taps. For mold between tiles, rub potatoes.